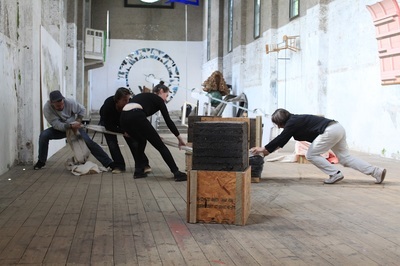 Between Thought and Space consists of 12 practitioners working within art, sound, architecture and choreography. 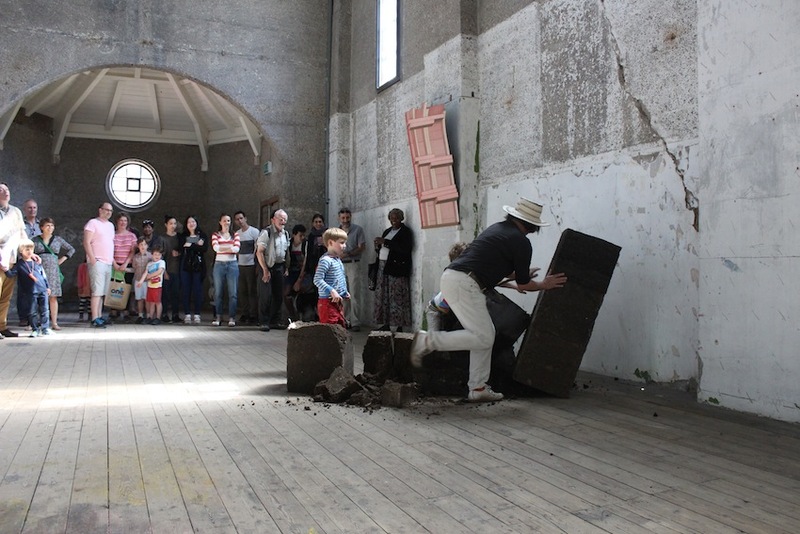 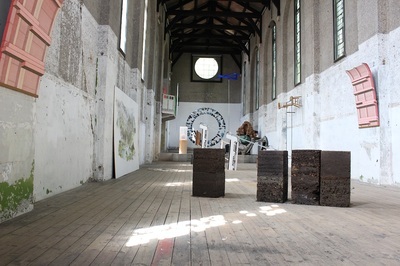 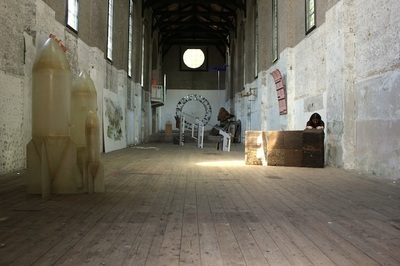 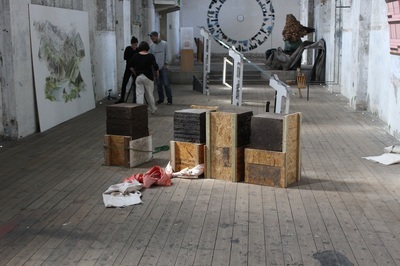 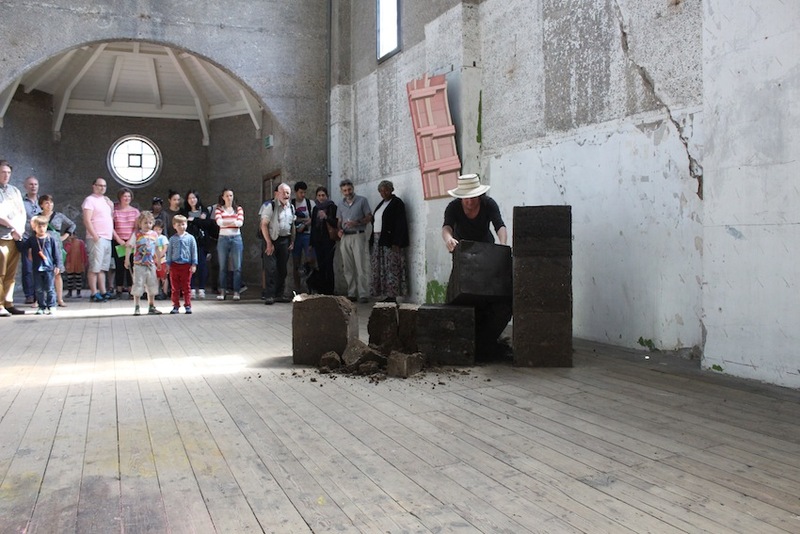 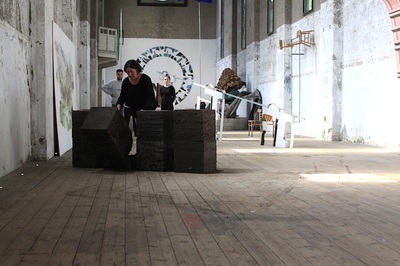 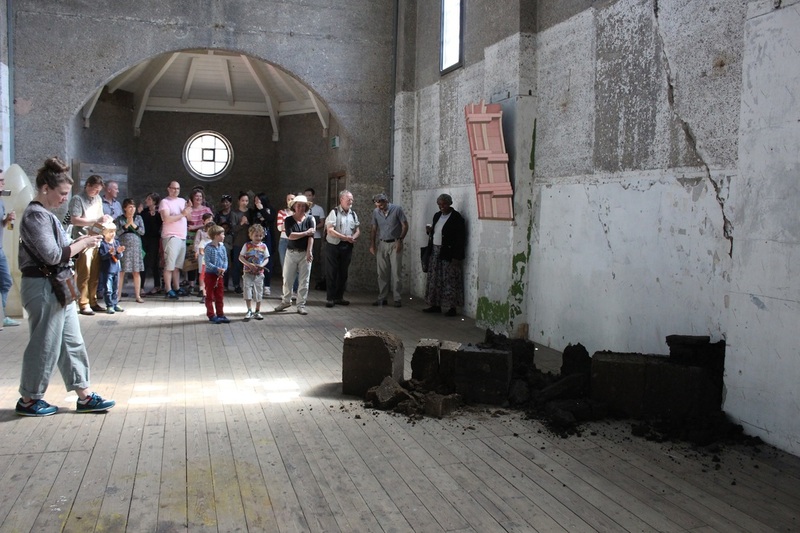 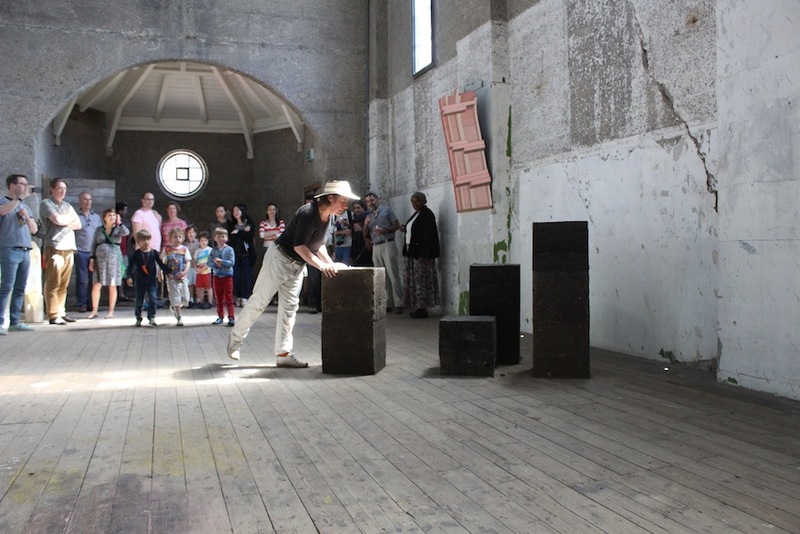 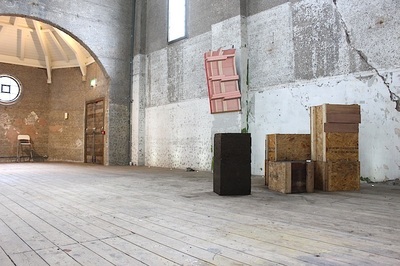 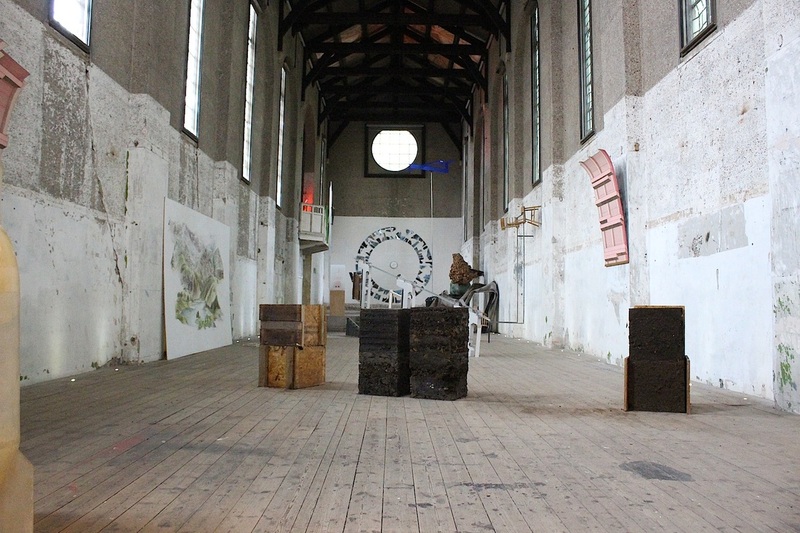 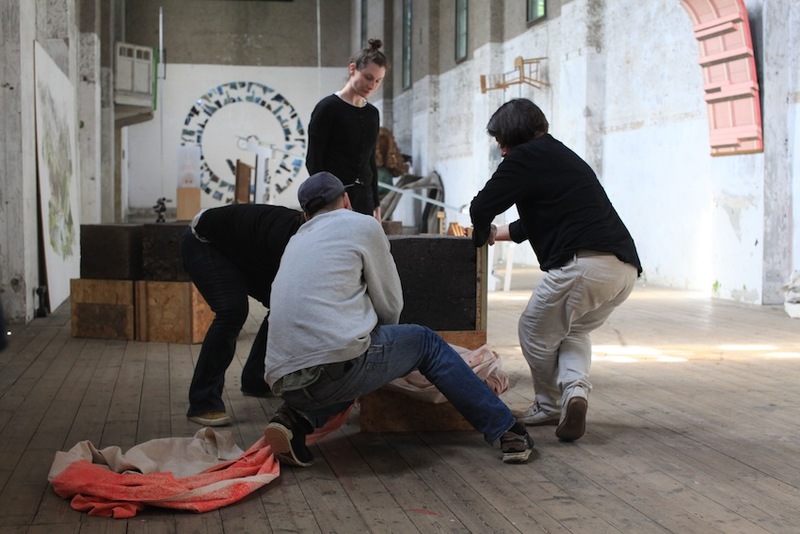 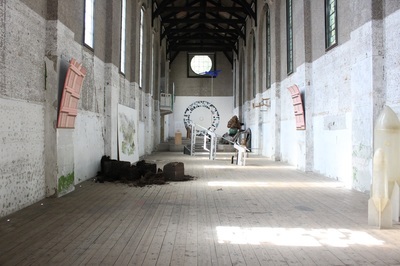 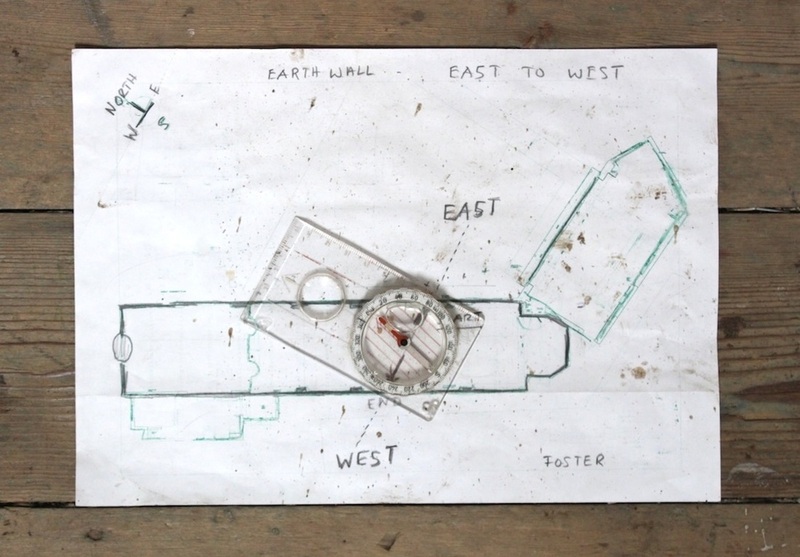 The exhibition at Dilston Grove is the centerpiece of a live research project spanning September 2014 – December 2016, where participants have engaged collectively to the social, material and historical fabric of the building in order to create new work. 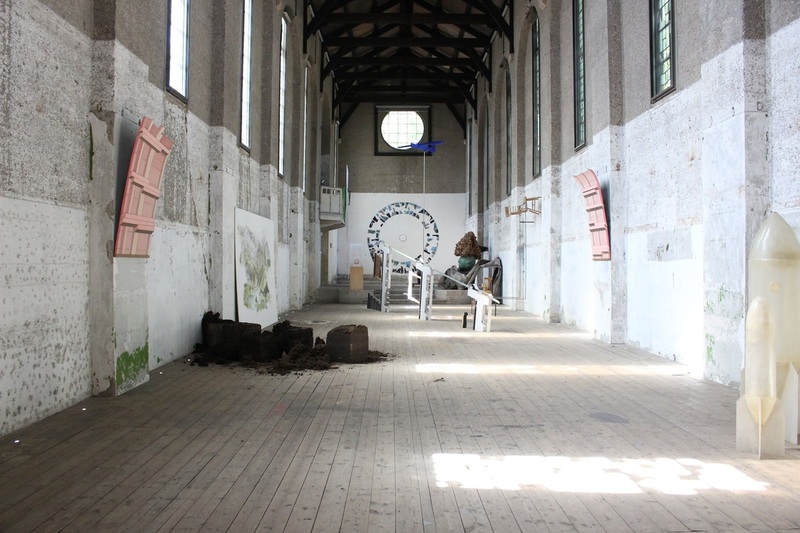 Stripped of all its religious decorations, once inside Dilston Grove and unable to look out, one’s own physical presence becomes magnified. 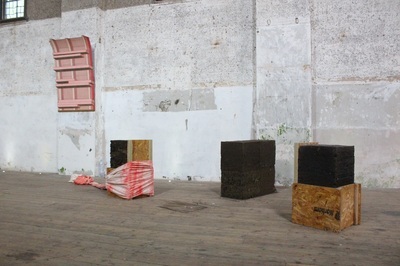 Representing the body’s volume as a Cube became the starting point for my continuing exploration into Thought and Space. 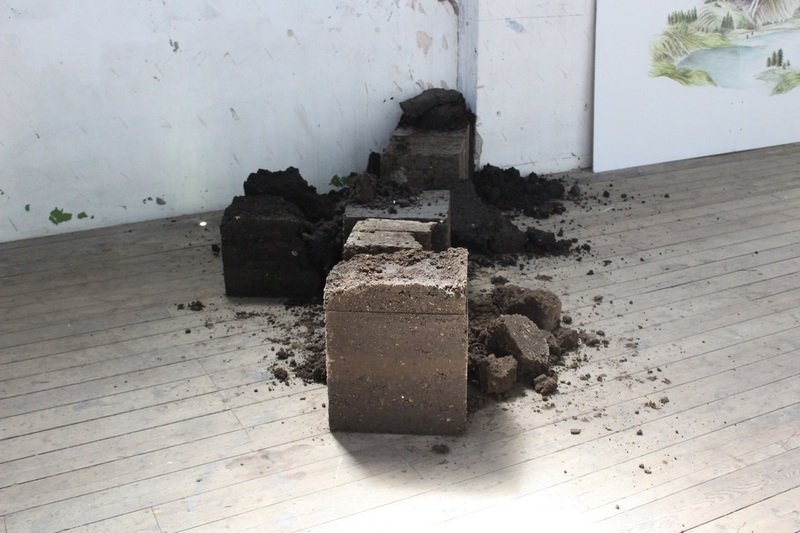 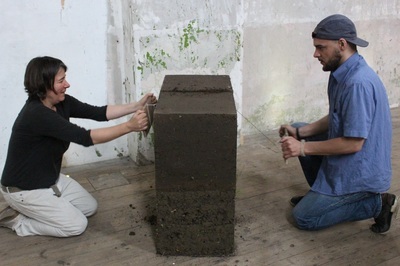 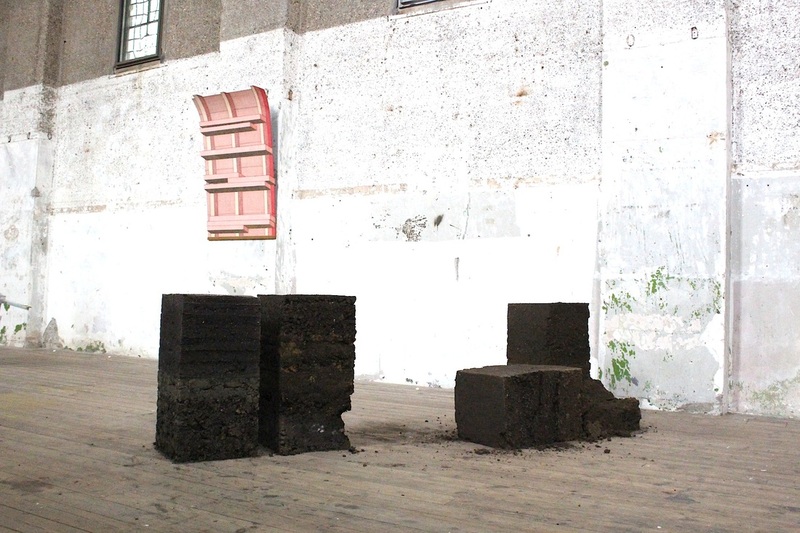 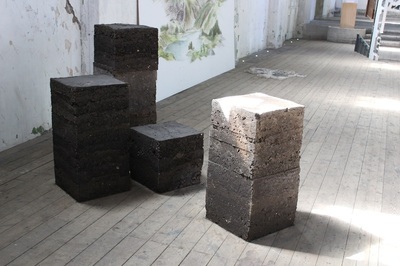 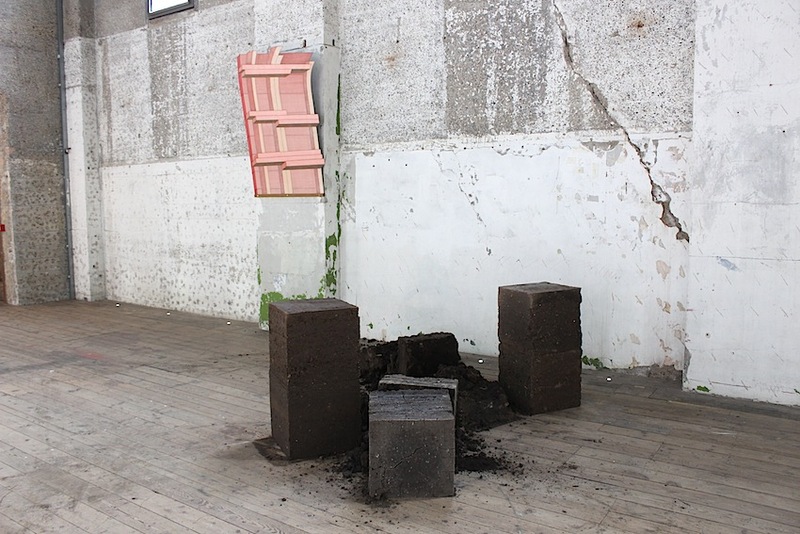 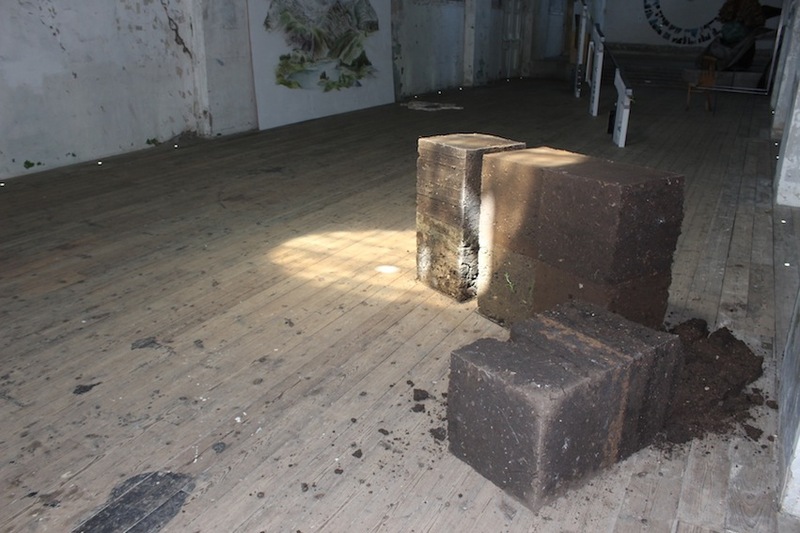 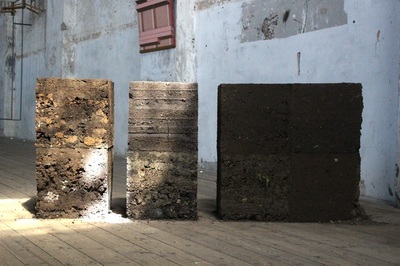 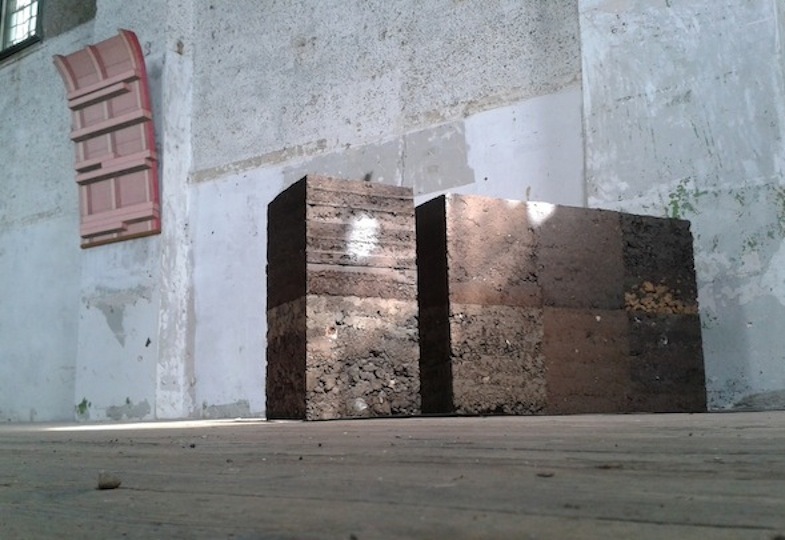 My piece for the exhibition starts as a Wall of 8 Cubes on the East side of Dilston Grove, These Cubes cast in soil will migrate to the West during the show. 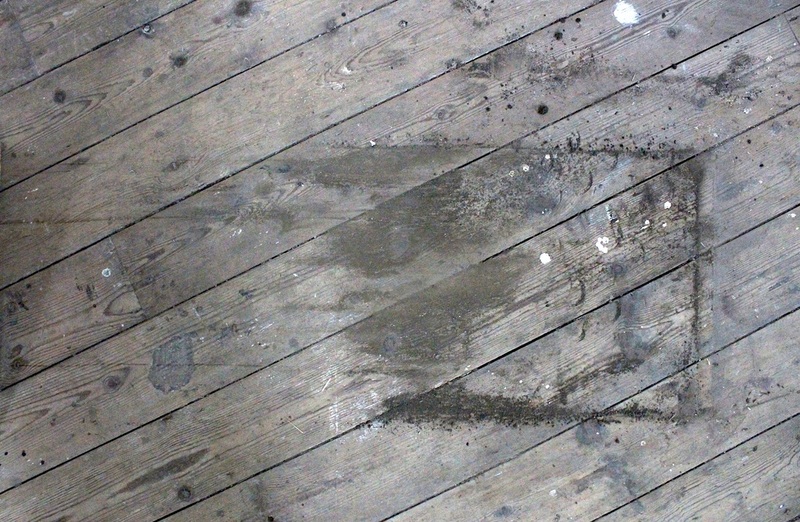 Their path is set, yet the manner of the journey will be decided en route.